Sen. Pat Bates explains the thinking behind her many bills that seek to curb opioid abuse and to better regulate the facilities that shelter and treat drug addicts. Plus: the under-the-radar race to replace Assemblyman Rocky Chavez, a utilities regulator spits fire at community choice and more news from Sacramento. There’s been a lot of reporting on how the opioid crisis is crippling communities in places like Ohio and West Virginia. What were you seeing and hearing that convinced you of the need for better restrictions and education on certain drugs here in California? According to the Centers for Disease Control, 53,000 Americans died from opioid overdoses in 2016, more than the 36,000 who died in car crashes in 2015 or the 35,000 who died from gun violence that year. For me, this crisis has hit even closer to home in my district. According to the San Diego-Union Tribune in late 2016, San Diego County saw 239 deaths that were specifically caused by opioids. There were 1,925 opioid-related deaths in California. Additionally, the number of deaths rising inspired me to hold an opioid town hall in Orange County, where I invited local law enforcement and members of the community to come learn more about the effects of opioids and what they needed to know. It was at this very town hall that I was approached by a number of parents sharing their personal stories about their children that it really struck me as something we need to provide more education on as soon as possible. The proliferation of sober-living homes in southern Orange County has really fired up residents. There are a lot of bills now seeking to address this, including some you’ve written or co-written. How do you balance the need to ensure facilities are safe with the fact that some residents will likely oppose their existence no matter how regulated they are? No doubt it’s important to find a balance between legislation that will help the individuals who are seeking help to kick their addiction and making sure the residential treatment facilities are good neighbors. I would like to see local governments have more of a regulatory role over sober-living homes. I’m hoping to achieve that goal by working with federal representatives on solutions. Some of your earlier efforts to regulate sober living homes have failed – what have you taken away from that process? I think about Winston Churchill and his quote “Never, never, never give up.” We must never give up. After years of trying with legislation and investigative media reports highlighting abuses, the Legislature seems now finally willing to engage in this process, and I am optimistic that we can affect some real change this year. I’ve authored two bills this year regarding residential treatment facilities: SB 902 and 1290. SB 902 requires that DHCS conduct background checks before an individual can be issued a license to own or operate an residential treatment facility. It is imperative that the owners and operators, who exercise control or management of individuals seeking care or treatment in these facilities, be cleared through state and federal criminal databases. Background checks for rehab operators are a vital step to ensuring safe care for individuals staying in residential treatment facilities. SB 1290 prohibits any licensee, operator, manager, consultant, employee or patient of an alcoholism or drug abuse recovery or treatment facility from offering, paying, soliciting or receiving a kickback to induce the referral of a patient to or from a residential treatment facility. Additionally, SB 1290 creates the “Commission on Substance Abuse and Recovery” to effectively confront the statewide addiction and substance abuse crisis with appropriate care and consideration of local effects. One of your bills, SB 1109, specifically targets student athletes as a population in need of more education about opioid risks. Why do you think they’re particularly vulnerable? Many minors are prescribed opioids and may not necessarily even know they are in the opioid family. Prescriptions such as Norco, Vicodin, etc. are all opioids and have the same addictive nature. Student athletes playing contact sports tend to be at higher risk for injuries. Media reports have made us more aware of head concussions in student-athletes. I hope my legislation, Senate Bill 1109, will bring awareness, aim to educate student-athletes, and require parents to sign a form informing them of the risks of opioid prescriptions. Are there solutions to the opioid crisis you’ve seen in other states that you wish California would implement? SB 1109 was recently amended to resemble Minnesota’s recent statute on warning labels for all Schedule II prescriptions. My bill now requires a warning label be affixed to all Schedule II prescription that states, “Caution: Opioid. 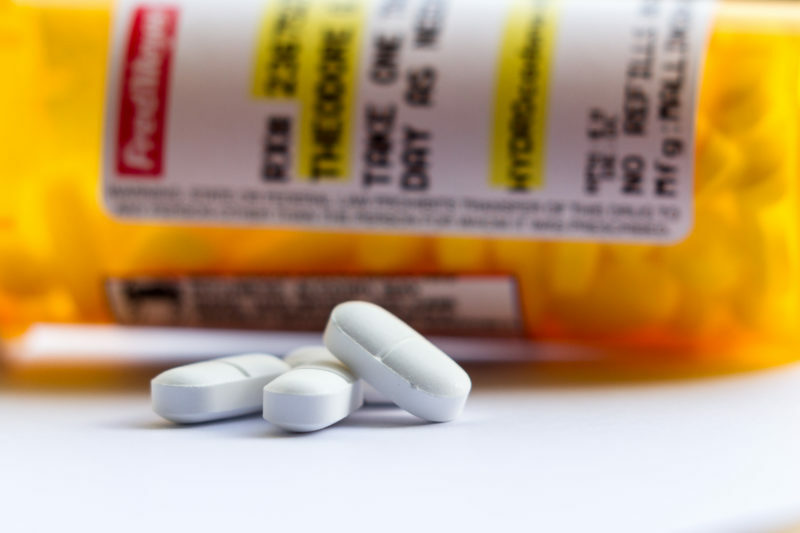 Risk of overdose and addiction.” Similarly, many states also have similar continuing education requirements for prescribers as well as a waiver for minor opioid prescriptions (though SB 1109 now only requires a “discussion” of the risks). Several North County political positions, from the County Board of Supervisors to Congress, have seen incumbents unable to, or uninterested in, run for re-election. These shakeups have led to a slew of new candidates in the region’s races, who are all trying to make it past the June primary. One race that’s progressing relatively quietly despite a crowded field is the 76th Assembly District, stretching from Encinitas to Camp Pendleton, and east to Vista. In the 76th, six Republicans and two Democrats are trying to replace Assemblyman Rocky Chavez, who is currently leading the Republicans in his run for the 49th Congressional District. On the Republican side is Phil Graham, Vista Councilwoman Amanda Rigby, San Dieguito Union High School District Board Member Mo Muir, former Encinitas Councilman Jerome Stocks, businessman Thomas Krouse and Brian Wimmer. On the Democrat side is Encinitas Councilwoman Tasha Boerner Horvath, and Elizabeth Warren, a journalist and community advocate. So far, there’s not been any polling conducted in the 76th Assembly District, and absent that, money is the best shorthand of where the parties’ machinery is aligning. From that perspective, Graham and Boerner Horvath have emerged as the two favored candidates, by a North County mile. Graham previously ran for the 76th in 2016, but dropped out to campaign for Encinitas City Council when Chavez ended his bid for Senate, This year, Graham has the benefit of the local Republican Party’s endorsement, and so far, he’s brought in the most money of any candidate, reporting about $242,000 in contributions this cycle. This is the first year in several election cycles that Democrats have even put up a candidate in the 76th District, but the party has not made an endorsement. In terms of fundraising, Boerner Horvath is the clearly favored candidate on the left. She has reported about $118,500 this election, compared with Warren’s $39,800. About $36,500 of Boerner Horvath’s contributions, the largest share of her support, comes from Sacramento, comprised mostly of contributions from construction trade unions – notable, since Boerner Horvath represents Encinitas, one of the few cities across the state that defies mandates to allow more housing to be built. Issues that have dominated candidate forums so far include housing, water and the Delta tunnels, the state’s so-called sanctuary state law, a recent tax increase to pay for transportation infrastructure and concerns about the bullet train. The California Public Utilities Commission warned local governments this week that their plans to buy and sell power could create another energy crisis. Michael Picker, president of the five-member commission, took aim at community choice aggregators, or CCAs, in a research report the commission released on Thursday, and in an op-ed in the Sacramento Bee. These government-run agencies are taking business away from the state’s three major power companies. The city of San Diego is thinking about forming a CCA so it can buy and sell green energy. Picker compared the trend unfavorably to the “deregulation” that set off the energy crisis in 2000 and 2001. Ironically, the Legislature gave cities the ability to form CCAs in response to the energy crisis. They’ve taken off. By the end of the year, a quarter of the power sold in California will be sold by CCAs. Picker appears worried the lack of centralized regulatory oversight by his commission could create chaos, though CCAs are subject to some rules created following the energy crisis. CCA advocates rejected Picker’s analogy and suggested it was fear-mongering. The effect of the CPUC’s action is unknown. All it did is release a paper, but that will set off a round of public comment and then could result in some new regulations. A flurry of lobbying is likely in coming weeks. Picker has long had harsh words for CCAs. He once described them as “forced collectivization,” presumably a reference to agricultural policies in the Soviet Union that led to the death of millions. Assemblyman Todd Gloria officially requested that the state’s Joint Legislative Audit Committee look further into San Diego’s deadly Hepatitis A outbreak – including how city and county officials responded to the crisis. Gloria’s request is tied to several revelations uncovered by Voice of San Diego, including that county officials’ initial response to the outbreak was to fumble for weeks over a few far-flung hand-washing stations. Gloria also notes that county officials have declined to share detailed data on cases or deaths with the public – or with cities scrambling to address the crisis. “Were the efforts in identifying, containing and treating the HAV outbreak between that first notification and when the county officially declared a public health emergency in September 2017 consistent with standard protocols for managing an infectious disease outbreak, including the release of location data and communication between the medical directors of local municipalities?” Gloria directs the committee to examine. The committee will decide whether to take up Gloria’s request at its May 16 meeting.